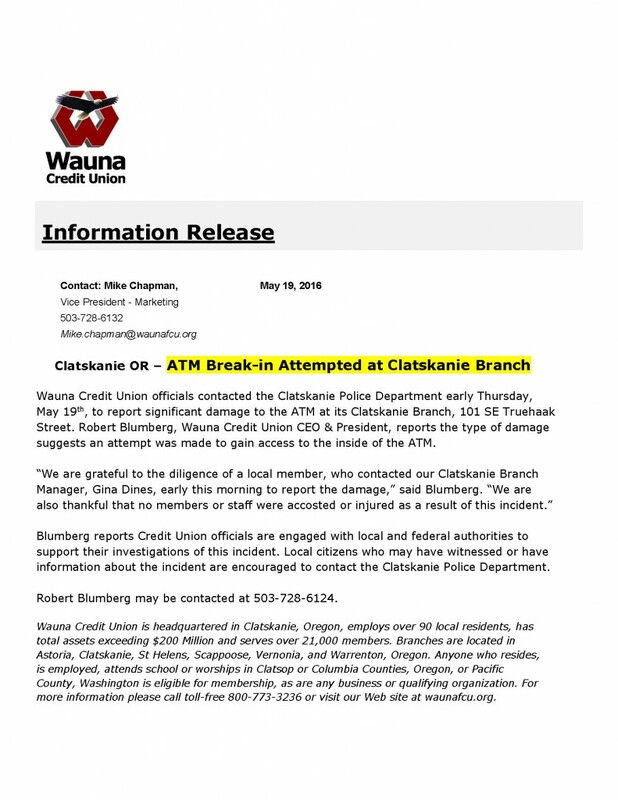 One of the more recognizable landmarks along Highway 30 through Clatskanie has been temporarily removed from its base along the roadside as part of the remodel project at the Clatskanie Branch of Wauna Credit Union. The popular time & temperature logo sign is now headed for re-manufacturing at Garrett Signs, Vancouver, Washington. 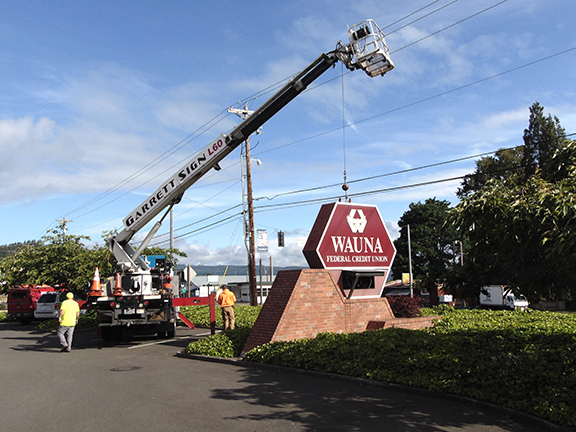 When the re-purposed sign returns in several weeks, it will include an updated time & temperature module and display the newer logo of Wauna Credit Union, which features a beautiful bald eagle. The new sign is scheduled for installation in late June or early July. 7-5-16 UPDATE: Our Credit Card upgrade is complete. 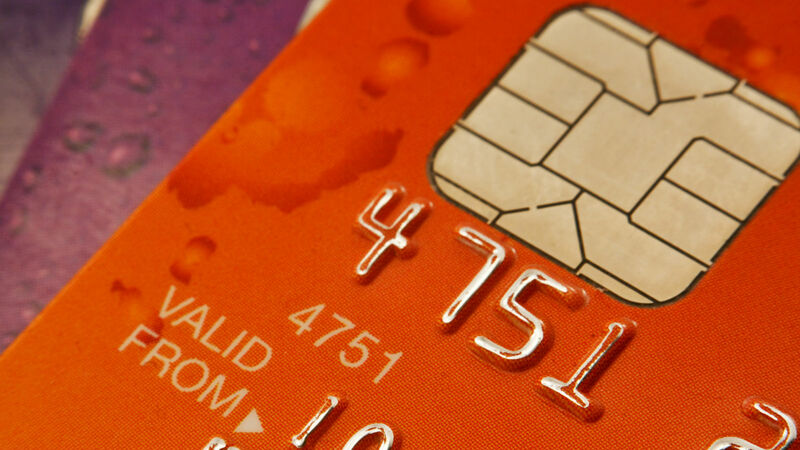 All Credit Card users should have their new EMV-chip VISA credit card in use. **Please Note: We are experiencing a few issues in regard to error messages when making Credit Card payments in online banking. Please disregard the error, we are receiving your payment. We are working to resolve this problem, and apologize for any inconvenience this may cause. EZ Card Users: EZ Card has been discontinued, Credit Card transactions are now in Online Banking. 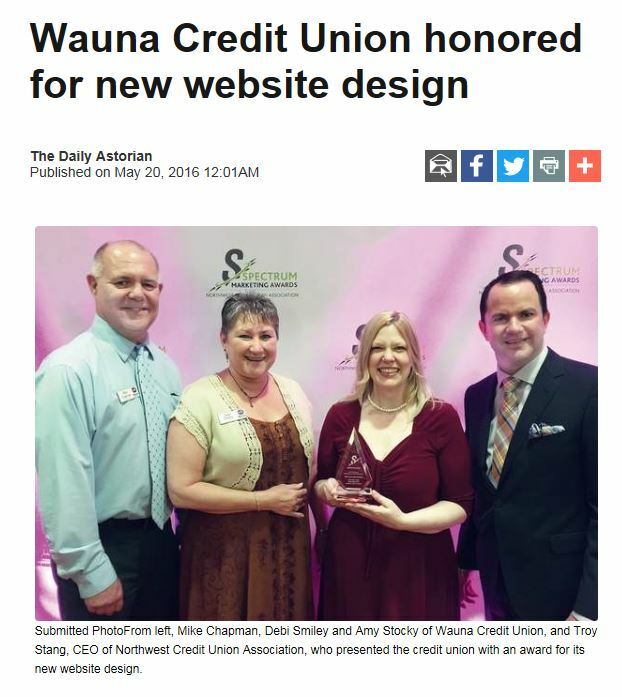 If you have not set up online banking please stop in any Wauna CU branch or call our Communications Center at 800-773-3236. To access your Credit Card statement online, simply log into online banking and click the grey credit card icon in the loans section next to the number. **Please make sure pop-ups are enabled for our site to display credit card transactions. May 20, 2016 – Notifications Begin to inform Credit Card users of the card changeover. May 20, 2016 – EZ Card users will receive this E-Z Card Discontinuation Letter via mail or email about the brief interruption in service from June 24-27th. Credit Card Users will also have the opportunity to migrate their automatic payments, hassle free, using this Wauna CU VISA Set-up form. June 14 – 20, 2016 – New cards will begin arriving to cardholders. (There will be some changes to your card, please read below to learn more*). June 24, 2016 – EZ Card online services will no longer be accessible to users. (IMPORTANT: Be sure to save/download any account history from EZ Card that you may need for your records BEFORE this date. It will be gone after June 24th). June 24 – 27 – EZ Card will be unavailable, and Credit Card transactions will not yet be available in Online Banking. June 27, 2016 – VISA cardholders may activate their new cards, and access Wauna CU’s Online Banking to see their Credit Card Activity. Do NOT attempt to use your new card (Or destroy the old one) until June 27th. The new cards will not work until then. You may activate the new Credit Card on June 27th. Use your current Credit Card throughout the day on June 26th, later in the evening it will no longer work and may then be destroyed. We are taking every precaution to ensure the change from your current Credit Card to the new EMV Chip Card is seamless. If issues do arise, please contact us for assistance at 800-773-3236 and follow the prompts for VISA Credit Card support. Card holders are welcome to stop in their local branch, call 800-773-3236, email us, or chat live on our website, if you have questions or issues with your Credit Card. Your new VISA Credit Card will have a different card number than your current card. If you have a joint account, you will notice the cards now have different numbers. This is an advantage in case one card is compromised, the other cardholder’s card will not be. Instead of accessing EZ Card, now your Credit Card transactions will be available in our Wauna CU online banking. Rewards Card Members will NOT lose accrued points, and you’ll still be able to redeem them through Scorecard just as before. If you have automatic payments set up to or from your VISA Credit Card they will need to be redone. Use this fillable form and we will migrate those payments over for you, or you will be required to do it yourself when you switch to the new EMV Chip Card. 6-27-16 Activation Day is here! Sure, that sounds like a lot, but we feel certain with the added protection and improvements, our members will be thrilled with our new VISA Platinum and Rewards Credit Cards upgrades! HELOCS Are Cool, Just Ask Barbara Norman! Wauna Credit Union is offering special terms for HELOCs (Home Equity Line Of Credit) until July 31st! Now is the time to put your home’s equity to work for those fun home improvement projects, or nearly any need one might have. One reason so many people prefer HELOCs to Home Equity Loans is that you use the money you need when you need it. It is rotating and versatile! Our current promotion offers a 1.99% interest rate for the first 6 months! Plus, since we are a Credit Union, there are NO Loan Origination Fees like many other financial institutions have. And, as an added bonus, we will give the holder of every approved HELOC a DIY project starter kit including a tape measure, torpedo level, & a carpenter’s pencil! 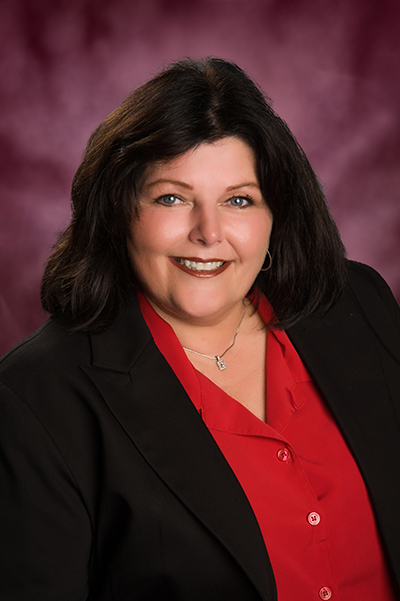 To learn more, we cornered Barbara Norman, an expert from our Wauna CU Mortgage Department, here’s what she had to say about HELOCs. First, we asked Barbara to name THREE great things about a HELOCs, and she was quick to respond! Access to emergency funds instantly! Pay interest only on funds used! No costs (except appraisal if needed)! Next, we asked her what a homeowner would need to qualify for a HELOC? Income, equity in the home, & pretty good credit. 2 years W-2s and Federal Tax Returns. Current Mortgage Statement on 1st Mortgage, if any, and possible other docs depending on circumstances. What can homeowners spend the money on? Are there rules or limitations? Barbara: They can spend it on buying a car, pay off debts, home improvements, cash for vacation, buying additional property, and much more! What is the benefit of getting a HELOC via Wauna CU? Barbara: We pay for the title policy, flood certification, recording fees, and tax service, if any. The member would pay only for appraisal, if it is required. We thought we’d stump Barbara when we asked this question: What is the ‘Coolest” thing about HELOCs? Because of course, how could a HELOC be cool? But, Barbara didn’t even blink when she responded, why you ask? Because as Barbara has proven HELOCs ARE COOL! Barbara: I think the coolest thing about a HELOC is having the funds for emergencies; whether your water main breaks, roof leaks, or you have a medical emergency, it takes the worry out of the equation. Now, we all know a little more about Home Equity Lines of Credit, and if you would like one, please apply online or stop in any branch to talk to your local Member Service Officer. The following insert was included with all mailed monthly statements in May. Learn more about our Home Equity Loan Promotion here, or apply today by clicking this link. Don’t Let Your DIY Project Get Stalled! Our Special Home Equity Line Of Credit Offers You More Buying Power!! Low, Introductory Rate for 6-Months! The only thing better than starting your project is finishing it! Apply online, by phone, or visit any branch. Need A New Car? This is Your Week! 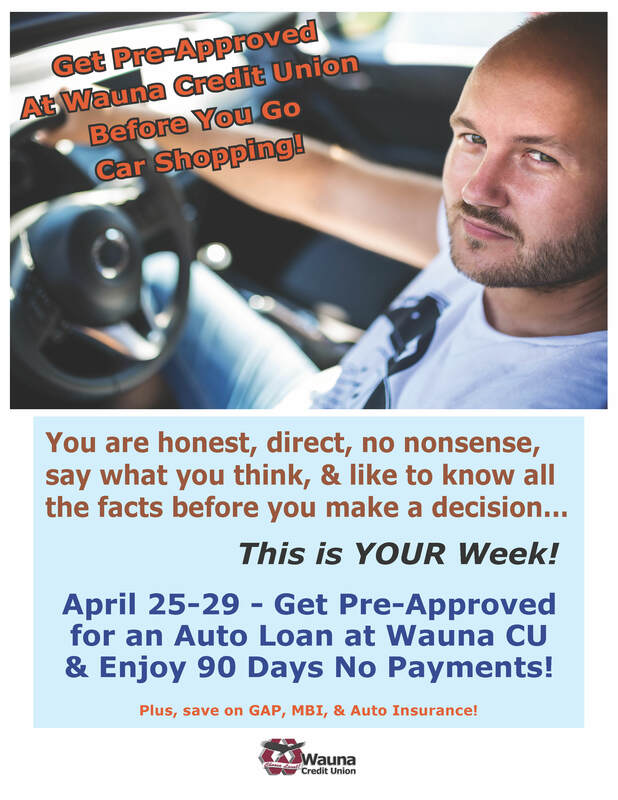 Wauna Credit Union is Offering two amazing ways to save on a new/used car purchase this week. This weekend (April 28-May 1) is the 3rd Annual SPRING FLING Auto Sale at four coastal auto dealers – Astoria Ford, Lum’s Auto Center, Ocean Crest Motors, & Warrenton KIA. Wauna Credit Union will have lending officers on site to make your financing happen immediately. 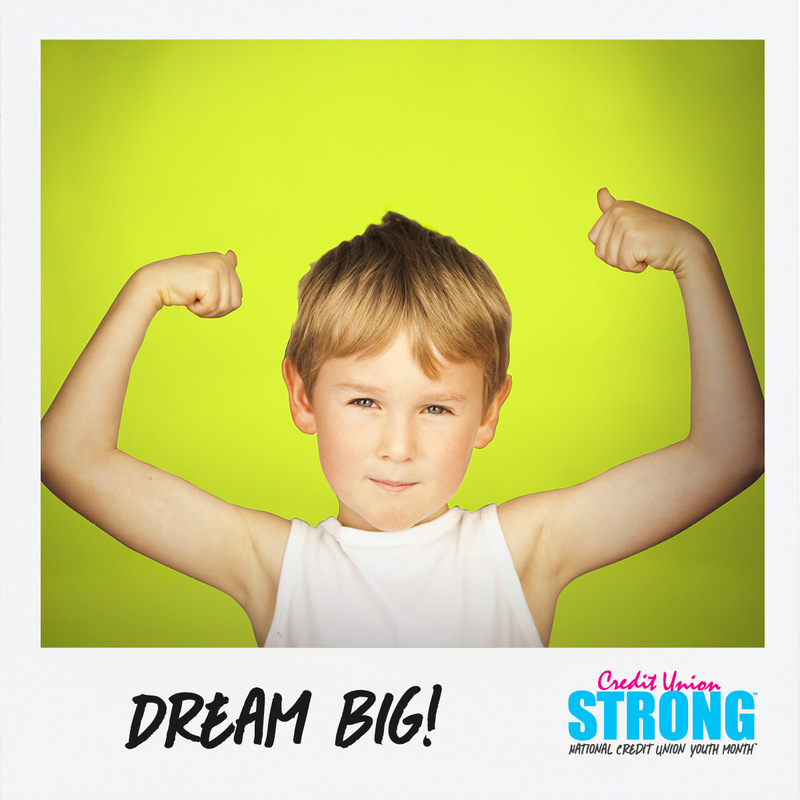 Plus, we are offering 90 No Payments & everyone who buys a car through Wauna CU will get a $30 VISA Gift Card! All of the auto dealers will be offering special low prices, and they’ll be serving up free BBQ during the days of the sale, April 28-May 1. Come out and enjoy a hot dog, take some test drives, and find yourself a great new car! No matter where you are in our service area – from Scappoose to Vernonia to Warrenton – All of our branches are offering 90 Days No Payments for anyone who gets pre-approved for an auto loan! Plus, if you get pre-approved at one of our branches or with online/mobile application, we offer much lower rates on Mechanical Breakdown Protection (MBP) & Guaranteed Auto Protection (GAP), and we also have competitive rates on Auto Insurance! 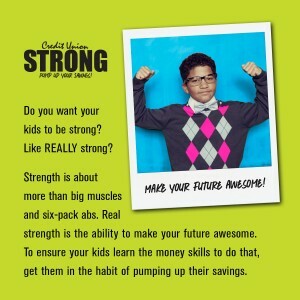 What is Credit Union Strong? Great Links & $$$ Prizes! Our month-long youth celebration is focused on the theme of “Credit Union Strong”. 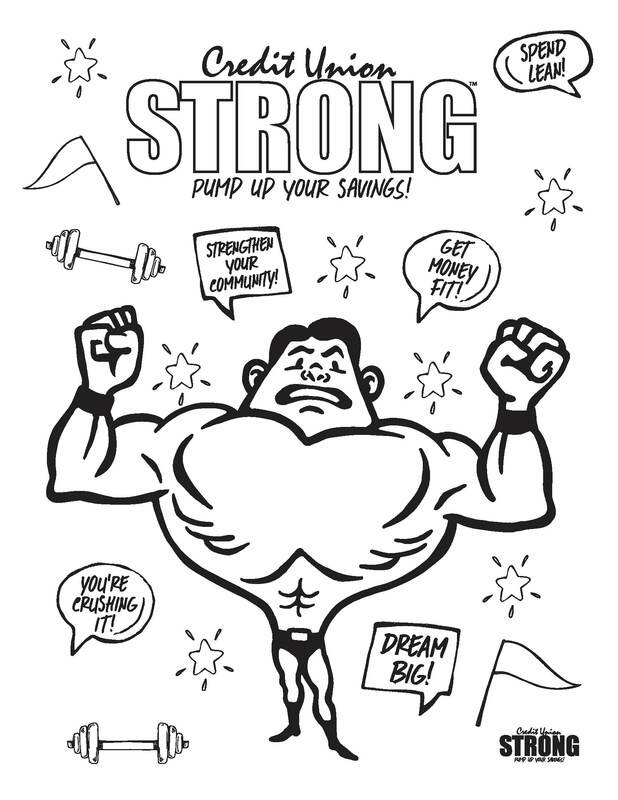 Bring your financial fitness buffs into Wauna Credit Union and help them pump up their savings. Young People Can Win at Wauna CU! 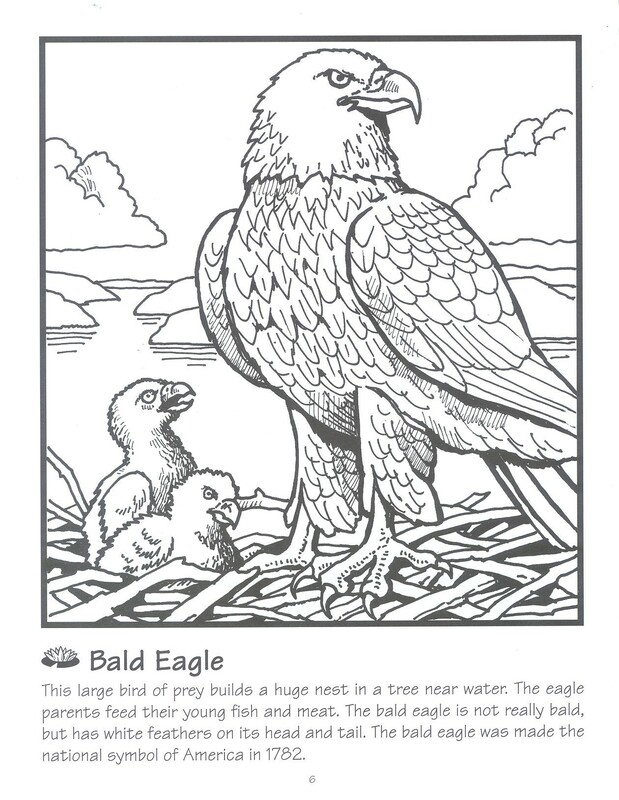 Coloring Contests! Prizes will be awarded for Coloring Contest winners! New Jump Start Club members drawing! Win bonus deposits of $25 or $50 just for opening a Jump Start Club account! JUST ANNOUNCED! Make a video & Win $100 (All Jump Start Club Members are welcome to participate) – Grab your phone, video camera or other device, and make a quick video, tell us in one minute what you like about Credit Unions, and especially Wauna Credit Union. Post it on any of our social media channels, and we will pick a winner and a runner up! $100 for the winner & $50 for the runner up. Wauna Credit Union has scheduled an important upgrade to the system that supports our Debit & ATM Card program. Debit card users may experience a brief disruption of service Monday, April 18th, between Midnight and 6:00 a.m. (Pacific time). Once completed, this system upgrade will enable Wauna Credit Union to provide its Debit card users with greater security when making transactions (using new EMV chip-secured Debit cards). Learn more about EMV chip-secured card technology at our website: https://waunafcu.org/accounts/emv-cards.shtml. If you experience any problems with your Debit or ATM Card during the upgrade period or afterwards, please call 800-773-3236 and select the appropriate prompts to be connected with our 24/7 Debit Card Support service. ATTN: CardNav app users: If you use our CardNav app to protect your Debit card, this service will be discontinued at Midnight, Sunday, April 17th. The exact same service under the name CardValet will take its place. 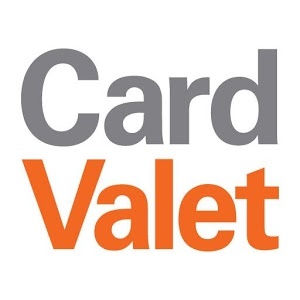 Please visit our website to learn about the download and required set-up procedures so CardValet can provide you with the same level of personally controlled security for your Debit Card. 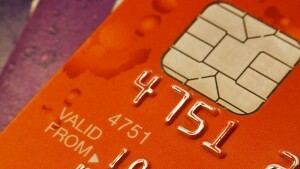 RESOURCE PAGE: Changes for Debit Card Users – The EMV Chips are coming! Our Debit Card users will find that when their current Wauna Credit Union Debit Card expires, its shiny new replacement will have an EMV chip on it. 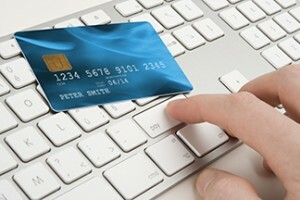 This will offer vastly better security for purchases made in stores and restaurants, all “Card Present” transactions. All Debit Cards issued in May 2016 and beyond will include the EMV Chip-Secured Card, and a magnetic strip too. DEBIT CARDS: The EMV Debit Card upgrade is complete. Service Interruption: April 18th,we will upgrade our service to accommodate EMV technology Debit Cards. There will be a brief interruption in service on April 18th for ALL Debit & ATM Card users. *If you experience any longer lasting issues with your Debit Card or PIN number, please call 800-773-3236 and follow the prompts. EMV Chip cards will be sent to members as existing Debit Cards expire, starting with cards expiring in May 2016. Did you get the email on 4-13-16 about the Debit & ATM conversion? Still have questions? Contact us by phone or email.